Planning a family trip can be a big deal, especially if you have a variety of different ages to cater for. You might have teenagers that will need some space or toddlers that will need to burn off lots of energy. So choosing the right destination can be tough. You want enough to keep them entertained, as well as being somewhere that you will enjoy, and somewhere with the right kind of adventures and sights. So instead of just suggesting Florida for families, here are some vacation destinations that you probably hadn’t have heard of. Have you been to any of them before? If you have family members that love to be outdoors and love to be exploring, then Norway is a great choice. 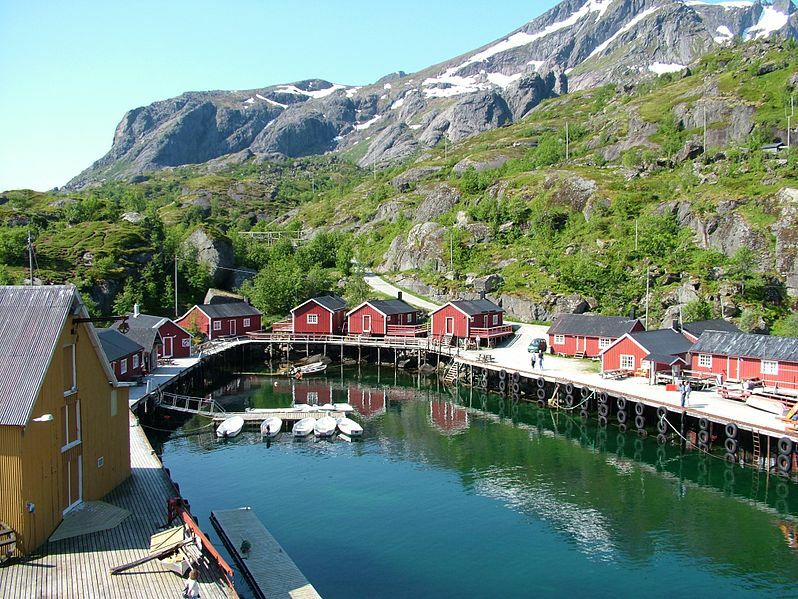 But to avoid the costly cities, heading out to the Lofoten Islands can be a good solution. There are cliffs, there are peaks, and there are plenty of watersport adventures. One of the best things is that you can catch a peek at the Northern Lights at the right time of year. There are also Viking homes to explore and plenty of wildlife too; there is sure to be something to suit each member of the family. Sitting on the banks of the River Rhine, Dusseldorf is a cosmopolitan, modern city with plenty of great activities to entertain all members of the family. From shopping to architecture, as well as plenty of great places to eat and drink, it can make a fun trip for the family. City breaks aren’t always what you think would work for families. But as long as you have the right accommodation, somewhere like the Courtyard Duesseldorf Seestern, as an example, then you’ll have plenty of space to relax in when you need to. Staying fairy centrally can even mean you can head back for naps if needed. If you have seen the new Peter Rabbit movie, you will have seen just how quaint some of the Lake District area in the north of England is. From plenty of lakes and watersports, as you might imagine, to hikes, bikes, and steam trains, it is a great place for active families. Bedtime is likely to go well when you’ve been outdoors all day enjoying all of that fresh air. Phuket is an amazing place, with so many stunning beaches and clear waters. But there is plenty to explore when it comes to nature and wildlife too. Elephant rides and boat trips are going to make it an unforgettable experience. Not to mention just how good (and cheap) the food is, as well as the weather and cultural experience, as there are temples and historical sites to explore too. The locals are so good with children too, so it can be a great place to be if you have young ones. Have you got a favourite family travel destination? It would be great to hear where you recommend, or if you have ever been to these locations before.